When your business relies on the proper function of it’s commercial garage door for shipping and receiving, it is important that there is little to no downtime. At TGS Garages & Doors we offer garage door repair services as well as proactive inspections and preventative maintenance. Utilizing these services will minimize costly overhead door repairs in the future. Proper commercial overhead door function will also help maintain a safe and efficient work environment. Taking care of your overhead door and operators on a regularly scheduled basis will extend the life of your overhead door. 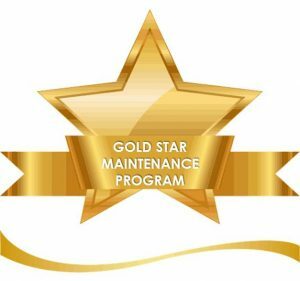 Our Gold Star Maintenance Program is designed to maximize the operation of your business at a very affordable price. Make TGS Garages & Doors your go-to partner for repair, maintenance and installation today. Freedom Plan* – No More Repair Bills! We offer the ONLY warranty in the industry that protects your business for garage door parts & labor with deductibles as low as $99.95. TGS Garages & Doors offers the Freedom Plan on new product installation as well as repairs. *Freedom Plan Coverage Includes: All failures directly related to workmanship, product defect or normal wear & tear. Exclusions: Garage door systems hit with a vehicle; Overhead door systems that are not enrolled in the Gold Star Maintenance Program; Operators, transmitters or receivers damaged by electrical failures or surges; Failures outside of workmanship, product defect or normal wear & tear.